What are You Willing to Do to Create Bipolar Stability? Stress, digestion and stomach aches. Mental health is so much more than what we feel and think. There is a physical component to our bipolar disorder as well. The more we learn scientifically about the body, the more we see a connection between the brain and the body. Anxiety for example is known to cause terrible stomach problems. What is a scientific answer for this? Serotonin in the stomach. This is also why drugs that affect serotonin are not very safe for people with bipolar and why they can cause so much physical stomach upset. My work has always involved deduction. When I started on my bipolar journey at age 31, there was very little available science on why we act as we do and what we can do to make changes to create a more stable life. So much has changed in this time. 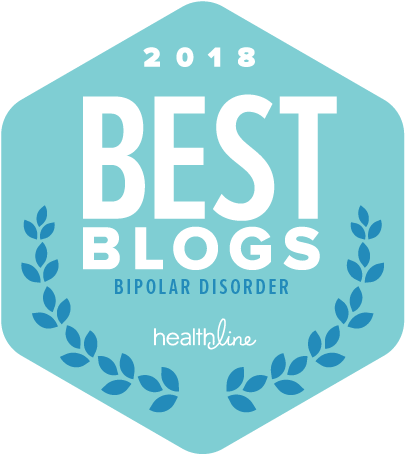 Deduction meant that my 13 years of charting my mood every day as well as charting the mood for ten years of a partner with bipolar allowed me to create a system that I use everyday and write about in all of my books. Deduction tells me that my stomachache today is the result of stress over the way bipolar affects my work ability. Deduction means that YOU can be a detective into your own aches and pains due to mental health concerns. How healthy are you? Can you sleep with ease? How is your digestion? Maybe you are like me and you struggle with using sugar to ease the mental and physical anguish caused by bipolar disorder. Maybe you choose weed or whiskey to ease the pain. Deduce what this is doing to your life. Be a detective and decide if the stomach ache is cured by sugar, weed and whiskey or if there might be better and healthier choice you can make. In November of 2018, after struggling with my weight for six years after a biking accident, I decided that sugar was no longer my medicine. Yes, I was using sugar as medicine. Why not be honest with myself. I am four months into a journey of finding other ways to ease my psychic and physical pain. I am deducing what I need. I am a detective. A bipolar Sherlock Holmes. I can teach you how to manage bipolar. I have a system that works 100% of the time. I have tested it for over 20 years on myself and many thousands of people around the world. This is not the issue. The issue is whether you are ready for a system that asks you to END a dependence on mania- A system that suggests you find other ways to deal with depression other than using substances that actually make you feel better in the moment, but worse over time. Mania is not a positive. Mania is the opposite side of the bipolar coin. Mania is as destructive as depression. Today, I start my plan to end the hold mania has on my life. I want you to live. I want the stomach aches from stress to end. I want us to have a plan that works. Today, I have a stomach ache. This is from anxiety messing with my stomach serotonin. I had a chiropractic treatment with the amazing Dr. Simon Agger and am having avocado with my lunch. I am deducing that my stress levels are not healthy and I need to make changes by removing triggers. I am on Instagram at #JulieGetsItDone for my weight loss work! I hope you will join me there if you need inspiration. I certainly need inspiration from you! « The Hard Truths about a Child Who Has Bipolar Disorder- audio recording for parents….